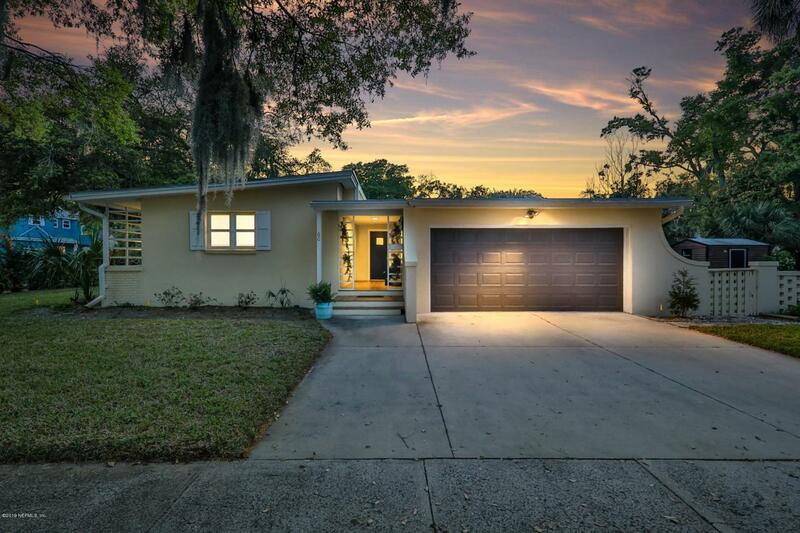 Welcome home to this charming bungalow located in Nelmar Terrace, a tree-canopied St. Augustine neighborhood listed in the National Register of Historic Places! 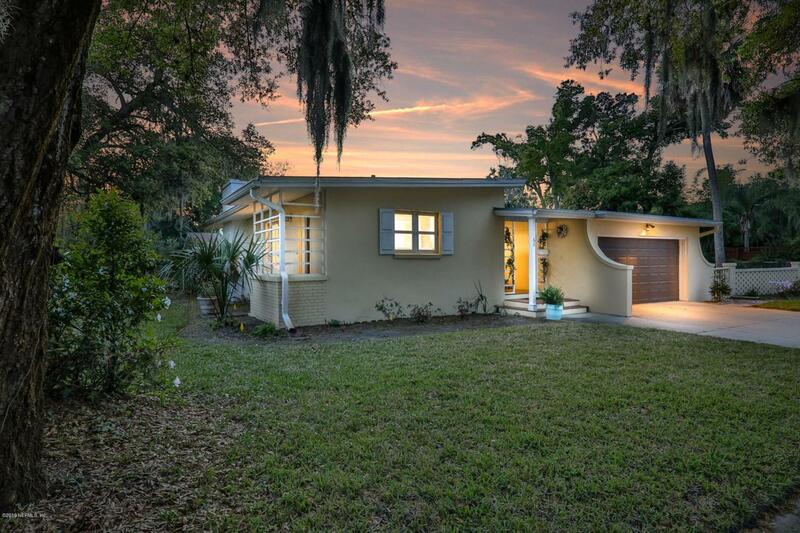 So convenient to historic downtown and just a 5 minute drive to Vilano Beach, you can enjoy living in the heart of all St. Augustine has to offer. Walk to restaurants, shopping and historic attractions. 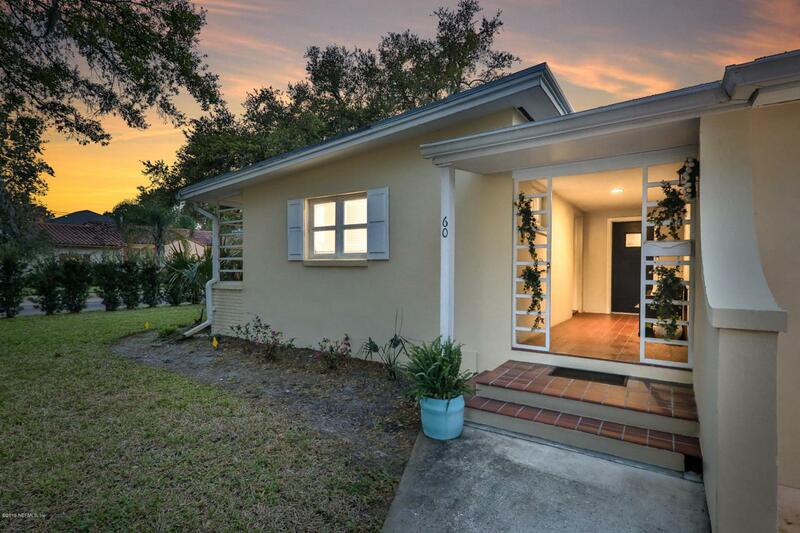 This cozy corner lot home offers the best of the old and new, with unique architectural details but updates where you want them. Two bedrooms, 2 baths and 1615sf of living space. 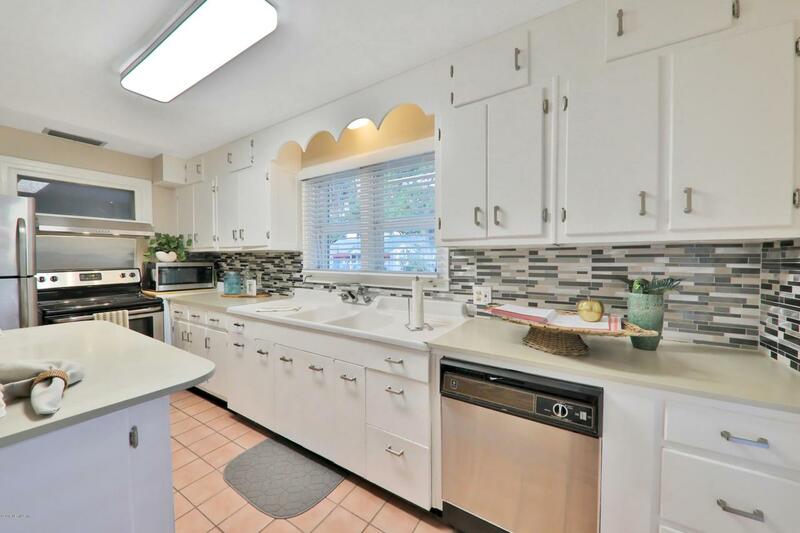 Kitchen features stainless appliances and updated tile backsplash. Hardwood and tile flooring throughout. Wood-burning fireplace in living room. Florida roomfeatures black-and-white checkerboard floor. Two car attached garage. Fenced yard includes storage shed for all of your tools and mature trees.